With an unassailable lead of 2 points FM Mohamad Ervan is set to take first place in the GACC InterVarsity Individual prize. 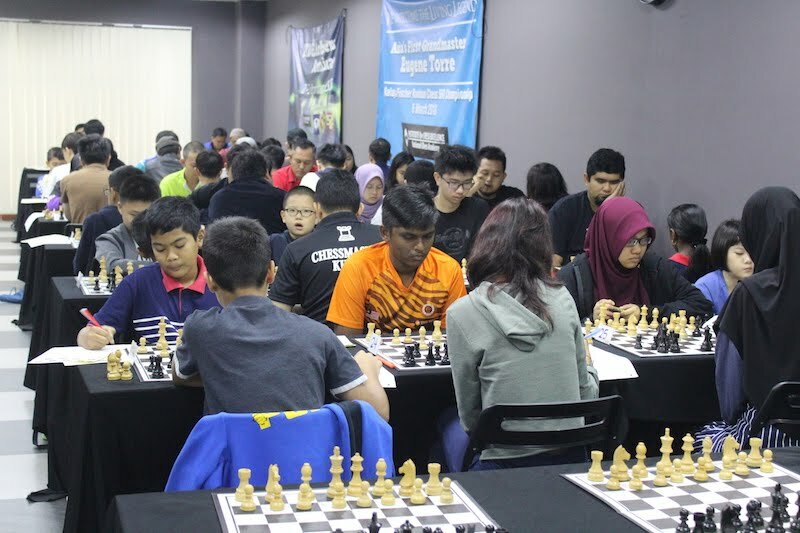 His closest rivals are WFM Nur Najiha and Shreyes Subramaniam at 6 points each. Only found out about this tourney after seeing a picture of a friend posted on Facebook. I think this is the 3rd series that sees players of raing below 1600 compete. 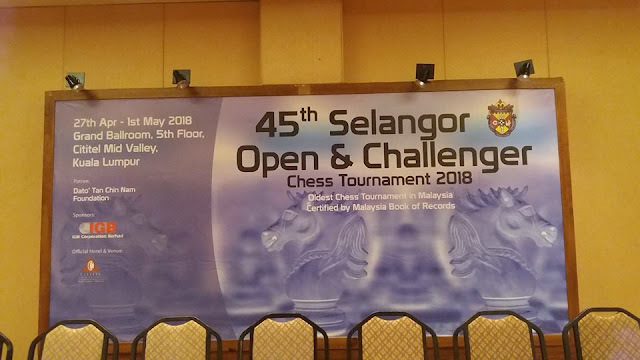 A total of 87 players are taking part in this edition of the Selangor Open including 3 Grandmasters. First round went on with all the higher seeds winning their games with no ‘upsets’ taking place.